If you are a property owner and don’t want gas drilling under your land then join the Chew Valley Lockdown and deny access to drilling companies across your boundary and underneath your property. Send us your parcel boundaries to get on the map. Go to the Chew Valley Lockdown page to find out how to do it. Click on the map to enlarge it. 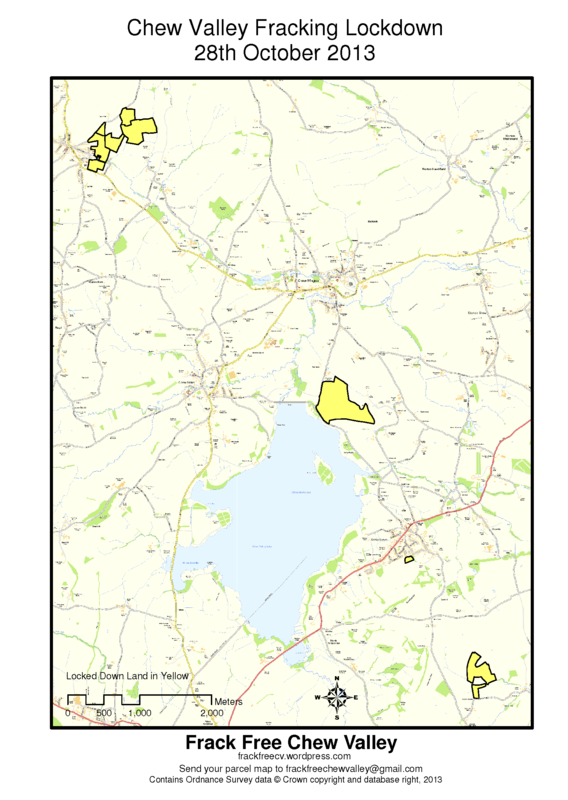 We are collecting maps for all of the Chew Valley and adjacent areas not just the area currently shown. Wrongmove.org is a new campaign by Greenpeace to provide a legal block against fracking. Right now, the government has put nearly two-thirds of England up for shale, without fully understanding what effects fracking is likely to have on local health or the countryside. This is how it works: fracking involves horizontal drilling that can extend two miles from the actual drill site, passing directly under the homes of those nearby. If you don’t want fracking companies pumping toxic chemicals under your home, you can say so. Then, any drilling there becomes trespassing; the frackers would be breaking the law. Therefore, if enough of us say we are not willing for the land under our homes to be fracked, we make it harder for companies to ignore the law and could stop fracking in its tracks. All you have to do is declare that your home is Not for Shale and you will be added to the growing legal block to stop fracking where you live. Look up your postcode and find out if you could be fracked and join the legal block now. Now is our chance to take a stand to keep dirty fuels in the ground where they belong and say no to fracking our communities. Very recently the Somerset Guardian published an opinion piece about the need to “dig deeper” to uncover the facts about fracking which characterises Somerset’s local fracking awareness groups as untruthful, ill-informed, fact distorting “zealots and banner-wavers”. The author Kevin Daly goes on to say that no link between methane and well water has ever been found, whereas it is well documented, and quotes from a recent peer reviewed paper that groundwater contamination is “not physically plausible”. The sentiment of this report can be traced to Matt Ridley (the well know climate change skeptic and pro-fracker who writes in the Times) and to EnergyInDepth an oil and gas lobby organisation in the USA. The “not physically plausible” quote comes from a paper written by a company paid to write it by Halliburton, using Halliburton data and promoted by EnergyInDepth which was set up by a bevvy of oil companies including Halliburton specifically to “combat new environmental regulation, especially with regard to hydraulic fracturing”. The conclusions of this paper are inappropriate to Somerset because it does not consider the complex local geology or the fact that pathways already exist between great depth and surface water sources – hence the hot springs of Bath and Bristol. What is Halliburton famous for? Pleading guilty to the criminal behavior in destroying evidence in connection to the Deepwater Horizon disaster. Why is Halliburton propaganda appearing in our local press? The Independent reports today: US oil giant Halliburton lined up as potential fracking partner. Ah that may be the reason. 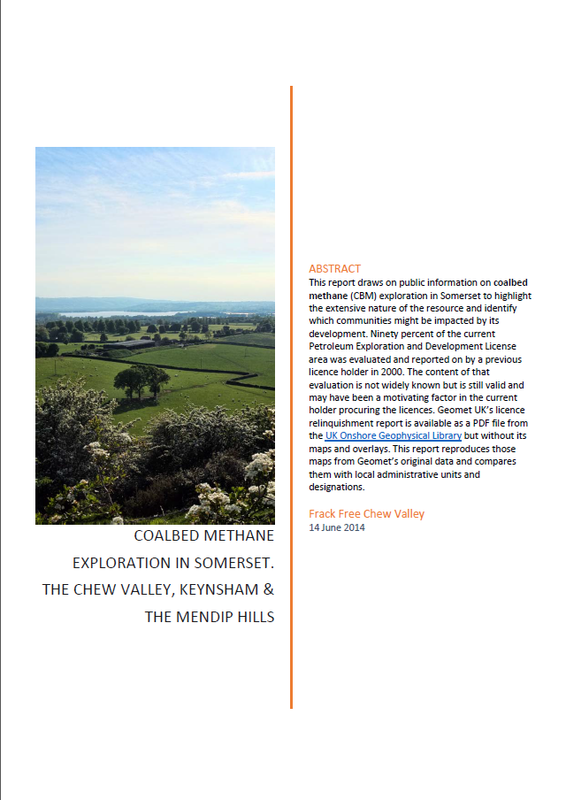 We should be concerned that this inappropriately reassuring industry view of unconventional gas has been fed through our local Somerset media without the means to refer to or question the sources because they were not referenced. Nor is the article available online, only comments to it. Coastal Oil and Gas, a sister company of UK Methane, has been given the go-ahead for exploratory drilling for unconventional gas by the Vale of Glamorgan and Rhondaa Cynon Taf councils in south Wales. Villagers In Llantrithyd are opposing the drilling. The deal to sell Eden Energy’s 50% share in the Somerset exploration and extraction licenses to a new company Shale Energy PLC fell through a few months ago but has now been approved on the basis of “significantly higher terms” than the original deal. See Shale Energy Insider for details. MacKay and Stone also say that UK shale gas will have little impact on UK gas prices. Read the report for yourself here. On the 30th September 2013 Mendip District Council considered a motion on fracking which was passed by a unanimous vote. This motion, whilst recognising the Government’s shale gas policy, expresses concern over the development of shale gas in Mendip and calls for detailed assessment of the environmental effects and to “adopt whatever measures available to control, and if appropriate seek to prevent the use of unconventional gas exploration and extraction within the Mendip district” echoing the recent motion by Bath and North East Somerset Council. The Councillors of both Mendip District Council and BANES should be congratulated for proposing and passing these motions. Come on Somerset County Council – what do you say?